I’m going full speed into ice cream land. I have made ice cream several times a week for a few weeks now. It is HOT in the Northeast and ice cream is the only way to happiness right now. This is a delicious amaretto flavored vegan ice cream. For a change I decided to serve it over a toasted, buttered, toaster waffle, and topped it with chocolate sauce and finishing salt. YUM! Add to ice cream maker of your choice and freeze according manufactures directions. Transfer ice cream to a freezer-happy container and freeze for a minimum of 2 hours before serving for the best texture. 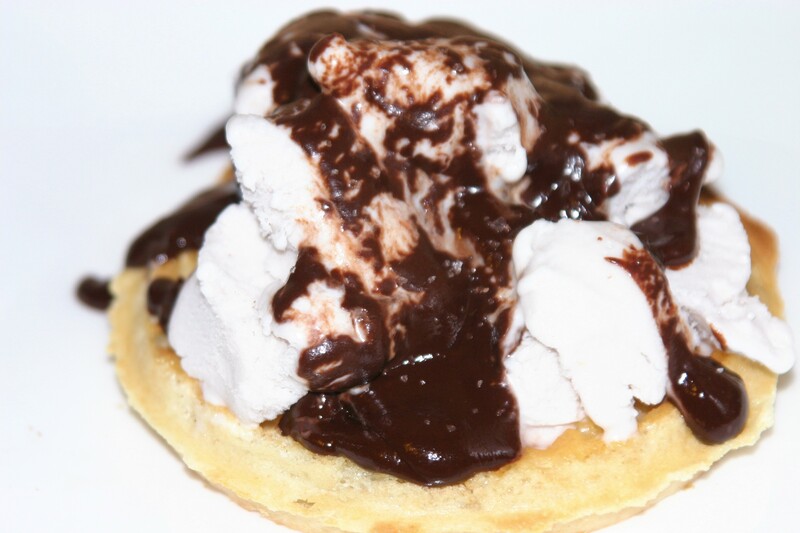 Serve over buttered toaster waffle and topped with chocolate sauce., or just in a bowl if that’s what you have.